If you’re deciding which local charity organizations to support, look no further than American Kidney Services (AKS). We welcome donations of clothing and other household goods from residents in Atlanta and all surrounding communities in Georgia to further our mission of supporting programs that assist people with kidney disease. The proceeds generated from the items we receive go toward charities like American Kidney Fund (AKF) that provide financial aid and other services to patients with this life-threatening condition. AKF helps ensure that patients struggling to pay for their medical care receive the treatments and medications they require. 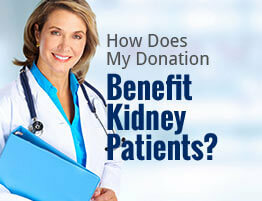 It also offers information and resources for managing kidney disease. Donating to AKS is more convenient than giving to many charity organizations because we offer several different ways to give. You can leave your items at one of our hundreds of drop boxes placed all over the area or bring them to our Atlanta storefront location 24/7. We also offer a free donation pickup service from local homes and businesses. Simply give us a call or use our online form to schedule a donation collection. For more information on how donating to AKS in the Atlanta, GA, area can assist charity organizations helping kidney disease patients all over the country, please contact us today.